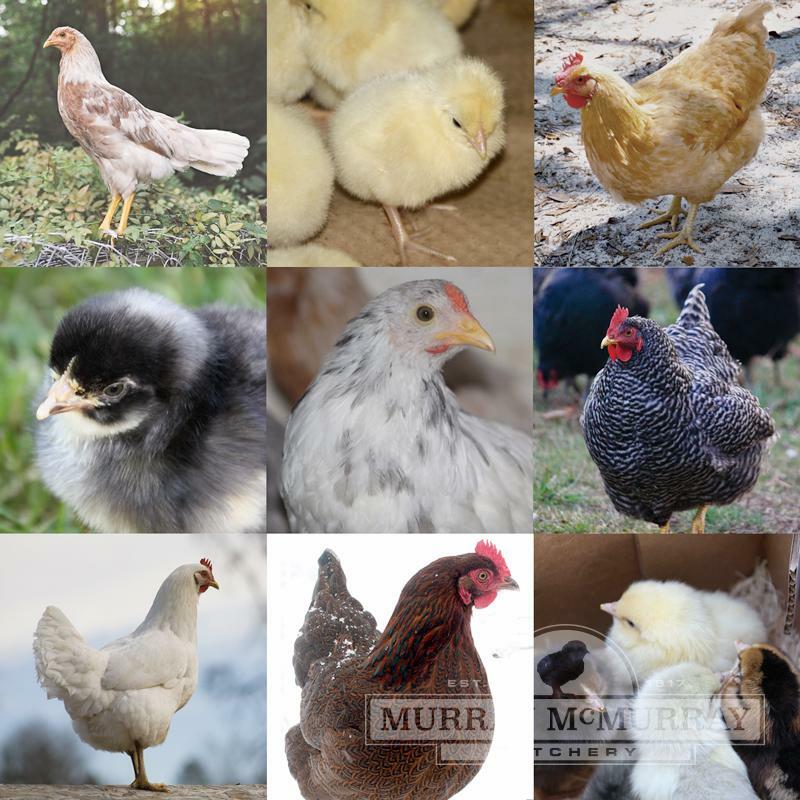 Our Plymouth Rocks include varieties such as our best-selling Barred Rocks, and our Buff, Partridge and White Rocks. These brown egg layers are a sturdy, heavy and hardy breed. Whiting True Blues lay a consistently blue egg and are excellent layers. This heavily discounted assortment is only available for a limited time. There are no guarantees on the number of different breeds in this mix. If you want a specific number of a certain breed, please order individually. Approx how old are these chicks when shipped?